Where Cafe Mambo goes, the sun will follow. 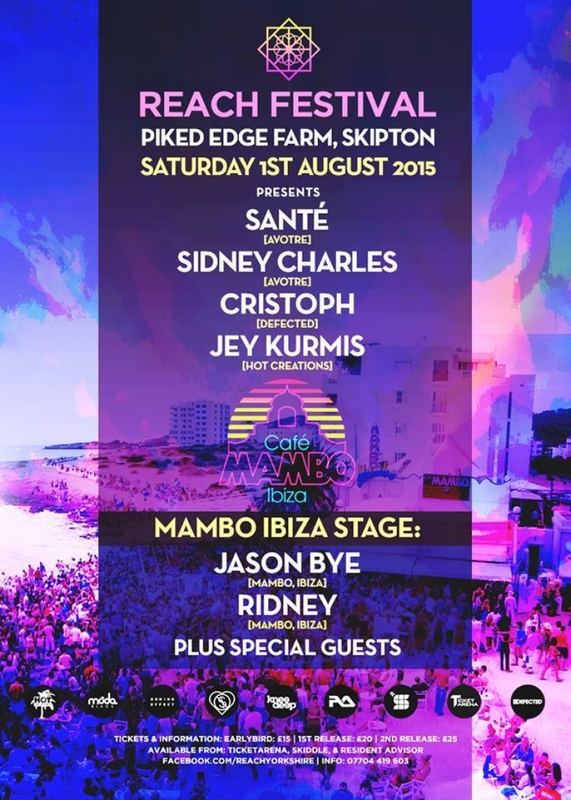 1st August Cafe Mambo joins Reach festival, bringing a taste of Ibiza to the North of England. Hosting its own stage with DJ's Ridney, Jason Bye and special guests, we join a spectacular line up including Sante, Sidney Charles, Jey Kurmis and Cristoph. Expect Funktion one sound system, pyrotechnics, one of the best crowds in England and not to mention, plenty of summer sun!